Sunshine Kelly | Beauty . Fashion . Lifestyle . Travel . Fitness: Klang Parade Hot Mama Contest for 2017 Is Back! Yes the much anticipated Klang Parade Hot Mama Contest for 2017 Is Back! What a better way to appreciate, applauded and empowered mothers for their achievements. You know motherhood does not spell the end of ambition for women, even though it is the convenient stereotype that society enjoys to perpetuate. Good news to all mothers! 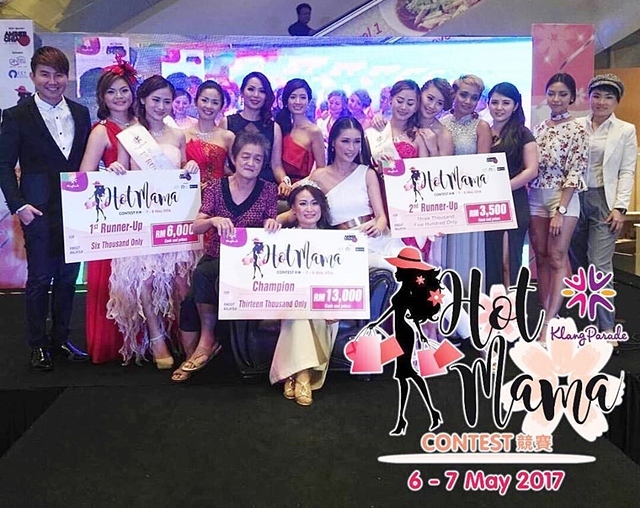 Klang Parade is hosting its popular Hot Mama Contest in 2017. Registration is now open and the grand final is set to kick off a week before Mother’s Day on 6th and 7th May. Over RM20,000 worth of cash and prizes are up for grabs. What it takes to be a hot mama? Well for those who is familiar with the contest, the format will be from last year; whereby maximum of 25 candidates will be selected to be in semi-finalists from a pool of candidates. Then the judges will select the Top 10 who will proceed to the Grand Finals the next day. Check out this video to have a view of Klang Parade Hot Mama Contest 2016 Grand Final last year! Once again, Amber Chia returns as the celebrity judge for the contest. Amber Chia is the perfect exemplar of a woman who can have it all be it ambition, career, and the love of her family. While Baki Zainal will rule the stage as the emcee on Sunday while the Top 10 finalists outwit and outplay each other. 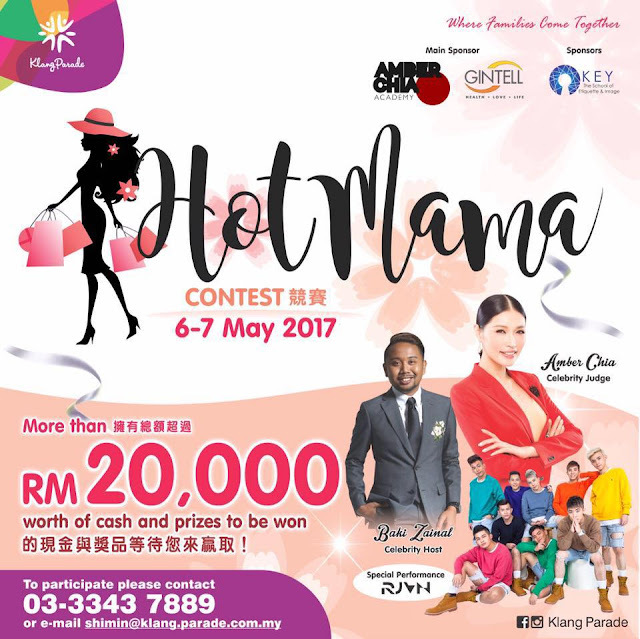 Klang Parade Hot Mama Contest for 2017 is open to all mothers above the age of 21, the contest offers a platform for women to showcase their talents on stage, proving that motherhood does not put a full-stop to their lives, but simply enriches them. The talent show could be singing, dancing, playing musical instrument or any kind of talent that one can suggest. Over RM20,000 worth of cash and prizes are up for grabs at the culmination of the contest. Thanks to the generous sponsors including Gintell, Amber Chia Academy, and KEY The School of Etiquette and Image. All the hot mama must participate this. Best of luck for them! Amber Chia, really a Hot Mama. Confidence and Pretty.